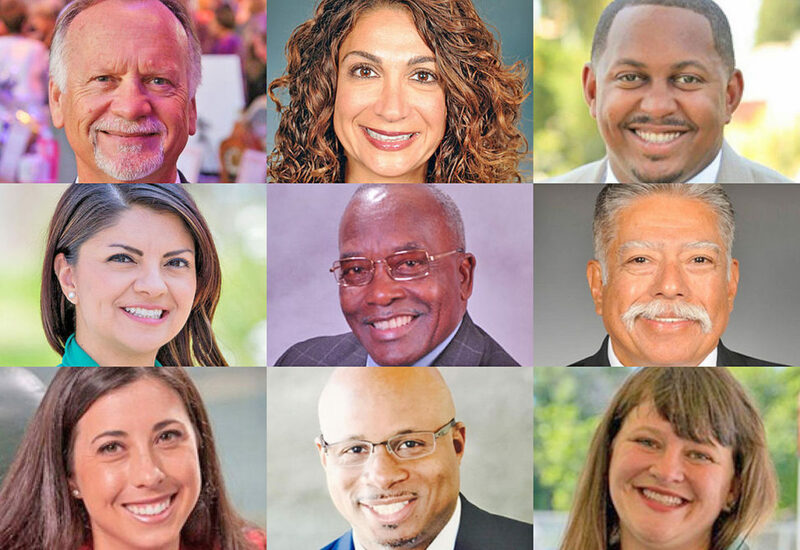 Long Beach’s elected council members, representing diverse and densely populated portions of a 51-square-mile city, agree that residents’ access to the internet has become essential to everyday life. Tasked with balancing the needs of their own neighbors with the needs of the city as a whole, council members know that lack of access can create socioeconomic barriers and threaten the transparency and communication between public servants and constituents. And they acknowledge that the gaps in access vary widely from district to district. A.) Is the digital divide a priority for your constituents? B.) If yes, what are you doing to bridge the digital divide in your district? Responses, which were limited to 250 words per question, are listed in the order they were received. A.) Yes, absolutely it is. As a district with zip code 90813, that unfortunately experiences high poverty rates (more than 40% of families are under the poverty line) and high unemployment rates (16% unemployment in pockets within 90813), we know that much of this can be attributed back to lack of connectivity at home. In personally working with students at Washington Middle School both as a City Councilwoman but also as an employee at Microsoft, I know how difficult it is for students to complete homework or learn about resources without digital literacy, hardware and the technical infrastructure in their community and at home. This keeps students and their parents out of discussion, widens the divide and lessens opportunities for economic and personal success. B.) My city hall team and I are committed to personally working with many kids in the 90813. As mentioned, I have connected with more than 200 students at Washington Middle School to personally teach them coding, virtual reality and tell them about jobs in tech. First, a Digital Inclusion Initiative called Project 90813 that will focus on Wi-Fi accessibility, more digital literacy programs in our high unemployment/poverty neighborhoods within this zip code and hopefully, beyond. It is about giving families a better chance at success in Long Beach. This will come to council in December. Secondly, we are working on an Innovation Center at 309 Pine Ave. (currently the Small Business Development Center), which will be renamed the “Shaun Lumachi Innovation Center.” This space, which will be active seven days a week, will include partnerships that will provide computer access, options for low-cost internet, business workshops and STEM-related classes for youth and seniors, right in the heart of downtown. A.) More of our essential daily lives are dependent on internet access to information than ever before. This can no longer be seen as a luxury when elementary school homework needs the internet, all job applications are online, and countless other daily tasks are only possible through the internet. Internet access is something I believe most all residents understand has become essential to everyday life. From an education perspective, it is necessary for our youth to have maximized their experience giving them the skills they will need for the future. From a business perspective, it improves efficiency and competitiveness. From a government perspective, it improves the information and resources available to residents making them better informed voters and participants in shaping our governance. More and more of our daily lives occur through the internet, and acknowledging that reality can serve to put Long Beach on the right track for the coming generation. Making sure that all of our residents have access to the internet is absolutely a high priority for me. B.) Long Beach public libraries are a key location for those who would not have internet access otherwise. I have been adamant that the city must expand its operations to give more people the realistic ability to access these amazing resources. The city has committed major investments to our libraries and establishing Sunday hours for a number of libraries is something I am very proud of having initiated over the past years. This is something that benefits not just my district, but the city as a whole by giving residents greater opportunity to take advantage of internet access and also the many resources and program being run from our libraries. I go to the library on Sundays often and there is not a single time that I have been there when EVERY computer was not being used! Often there is a waiting list for residents waiting to use the computers. This is pretty telling in terms of the need. A.) Closing the digital divide is a key priority for my office and for our community. From distance learning to e-commerce, the world is shifting online. Closing the digital divide helps to make sure every resident, no matter the age or socio-economic status has the opportunity to fully participate in the emerging educational and economic landscape. B.) We’ve already taken key steps to close the divide in North Long Beach. We created UpLink, the city’s first free Wi-fi-enabled corridor, connecting Jordan High School and Houghton Park to the new Michelle Obama Neighborhood Library. We’ve placed a focus on STEM education and technology with the new North Long Beach Education Fund and the YMCA North Long Beach Summer Youth Institute. And with the new Michelle Obama Library and the upcoming Houghton Park Community Center, we are dramatically expanding free access to computers, 3D printers and other technology. A.) Yes. Given the advancements made in technology, it is important that my constituents remain connected with the rest of the city. As the city moves forward with applications, such as Go Long Beach, that provide immediate and substantial information regarding services such as public works projects and public safety, staying connected becomes even more critical than currently available. B.) No one resident should be lacking access to the digital world as this applies to residents, students and businesses in my district. We are looking to our IT Department to develop the connectivity needed to ensure that a digital divide becomes non-existent and readily available. Should closing the digital divide require making a financial commitment to improve our connectivity, we need to find the resources to make it so. A.) Being “connected” is a priority for our constituents, including both residents and businesses. We include important information in our weekly e-newsletters pertaining a variety of topics in our community. For residents who do not have internet access, information about upcoming meetings, events or council agenda items is missed. Other methods of communication are simply not as cost effective or timely. B.) Finding a solution to the digital divide will only benefit the community, but we have a long way to go. In the Fourth District, there are multiple stores in a shopping center that do not have the capability to connect. This divide represents a lost opportunity for businesses to become more competitive and to grow. It also represents a potential loss for our local economy in revenue generation and jobs. We are continually working with city staff to bridge the divide on a case-by-case basis. A.) My district is arguably the most economically diverse district in Long Beach. Access to information and technology is improving, but remains a challenge for many in our city, including areas of my district. Many of my constituents not only experience a digital divide, but also a greater information divide. While residents in some neighborhoods receive two or three local print newspapers, some delivered for free, many neighborhoods in North Long Beach go without any newspaper distribution. This makes it that much more challenging for them to be informed and engaged in their local community affairs. In addition, some neighborhoods, such as the Carmelitos community, cannot even get subscription services from our local cable provider, denying them access to the internet, local news and other technologies. This has been an ongoing conversation with the LA County Housing Authority and cable providers that has yet to be resolved. As the recent series has illustrated, the digital divide creates further hurdles in education and economic opportunities. I encourage our new developments and small businesses to expand access for Wi-Fi and other technologies in our public spaces throughout the Long Beach. We as a city can do better to incentivize and invest in creating access. B.) We have seen our libraries, especially the new Michelle Obama Neighborhood Library, become a critical partner in bridging the digital divide. Many of my constituents utilize the library to have access to computers and the internet that they otherwise can’t access. It is a critical tool for many youth, who do not have these resources at home. When the final funding necessary to complete construction of the Michelle Obama Library was in jeopardy during the city’s budget process, I led the effort to get the money included, providing this invaluable resource. My office continuously works to overcome this information divide among residents, often utilizing door-to-door canvassing and other means of communication. I support developing technology throughout our city and in all of our public spaces, that will be accessible for the public. Bridging the digital divide must be a goal that we continue to work towards. A.) The digital divide in Long Beach is a priority for our entire community. It’s wholly unacceptable in this day and age that any student, family or neighborhood is left behind because they can’t access affordable and reliable internet service to help them fully reach their educational and economic potential. The future of Long Beach depends on bridging this gap. B.) The city recently completed its Fiber Master Plan, a study nearly two years in the making that will be coming to (City) Council soon and will lay out options for extending connectivity in our communities, including an option to operate as a broadband service provider. This is something that has been done in other cities, and has provided low cost access while still generating a profit so that the program becomes self-sustaining. I’m excited by this prospect and look forward to having a community discussion on which option will best serve our neighborhoods and end the digital divide. A.) Transitioning into an age of information, the public’s use of phones and portable devices for everyday purposes is a norm we have all grown accustomed to. Unfortunately, access to technology is a privilege still exclusive to some populations. I represent the diverse demographics of the working poor: middle-, low-, and extremely low-income households. The costs of devices, data plans and internet at varying speeds are challenges very apparent to my constituents. Having to choose between household necessities and internet access makes the digital divide a reality for many of our residents. B.) For years, my office and my colleagues have engaged in dialogue, looking at ways to bridge this gap. The digital divide directly affects Sixth District households, as the challenges of affordability and access impact our residents’ computer literacy, which is a link to jobs, which would economically empower our community. I believe the city must take an innovative approach in how we provide internet access to the public. We have promoted the construction of the new Civic Center as a place for Long Beach residents, so I believe free Wi-Fi should be accessible throughout the Civic Center’s facilities. I would also like to see hot spots continue to be available in public spaces: such as installations in our parks and libraries. The Sixth District has two public libraries, which offer free internet and computer usage for library card holders. Currently, our libraries are our main tool for connecting residents with digital media, but conversations about installing fiber optics in the roads and creating an affordable internet program for low-income households have come about due to this discussion. I am hopeful that this dialogue will come into fruition. A.) and B.) The digital divide is a major obstacle in achieving an equitable and diverse society. From youth who need the internet to keep up with studies, or senior citizens who need to access health resources or communicate with loved ones, the digital divide hampers our communities’ ability to thrive. According to DigitalResponsibility.org, 38% of families that make less than $30,000 a year have access to internet at home. I firmly believe access to internet should be a right, and we as a city must step up to ensure we are partnering to bring laptops to schools, internet to parks and neighborhoods and supporting access to training and education for all residents. When our constituents have access to things like the World Wide Web, anything is possible.